How the superdrug takes you from tired to wired... and back. Can you drink black coffee while fasting or not? That familiar buzz you get from your staple skinny latte can be potentially dangerous but that doesn’t mean that everyone needs to kick the habit. Here’s what actually goes down when you drink coffee. Regular coffee drinkers may be over their caffeine limit but could be completely oblivious to the fact. And, with many food, drink and pharmaceutical companies adding caffeine to their products, non-coffee-consumers may be even more unaware of their intake, resulting in side effects such as irritability, headaches and restlessness being brushed off. But is it really such a concern in the first place? Experts remain divided. 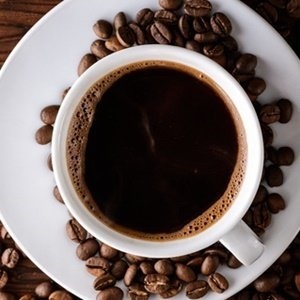 “There are a number of conflicting studies on the positive and negative consequences of caffeine,” says Demitri Constantinou, adjunct professor of Sports and Exercise Medicine at Wits University and director for the Centre for Exercise Science and Sports Medicine. “There is some evidence of the health benefits and there are differences in individual responses. There is a level of tolerance, so some of the effects may subside over time. The problems mostly relate to the side effects, such as sleep disturbances, abdominal cramps, heartburn, diarrhoea, palpitations, anxiety, hand tremors and excessive sweating.” No wonder we’re confused. Read more: Can caffeine really help you lose those last few kilos? Once caffeine hits your bloodstream, it’s shuttled straight to the liver, which breaks it into tiny molecules. Those then course through your veins, binding to cells, stealing the spots of the sleep-inducing chemical adenosine. With less adenosine to temper it, your brain is in overdrive. Mentally, you’re more alert. Production of feel-good dopamine ramps up. Your blood vessels have sprung into action: as they constrict, your heart beats faster, pumping extra oxygen to your organs. Your body reaches peak caffeine levels 15 to 45 minutes after ingestion. The outcome, however, lasts much longer. Depending on your genes and what medication you take, you could be wired for the next five to six hours. Sounds great, right? Unless you’ve gone over your personal limit. Caffeine overkill can cancel out too much adenosine, overstimulating your brain. In 2013, a study concluded that coffee drinkers may have shorter life spans and that caffeine can also disrupt sleep, further leading to a list of problems, such as weight gain, weakened immunity and poor concentration. New research has also found that it has the ability to leave people wanting more, driving them towards sugary drinks. Even if you don’t go overboard, take note: brain cells respond to the repeated blocking of adenosine by producing more and more of the stuff, which will hit you harder once your buzz wears off. Ideally, wait until about 10am for your java jolt and – it practically goes without saying – skip caffeine within six hours of bedtime. As with anything else, awareness and moderation are key. Read labels and if you feel jittery or your caffeine crashes are intense, it’s time to cut back. This article was originally published on www.womenshealthmag. For most women who cannot conceive naturally, in vitro fertilisation is very safe and effective, but it may involve a higher risk of complications during pregnancy.